The stage is set for the third installment of TV5's debate program Manindigan. Airing on Saturday, November 4 at 7:30PM, the program's latest episode will center around President Rodrigo Duterte's dwindling approval rating and whether or not his honeymoon period is finally over. As reported by the Social Weather Stations, Mr. Duterte's approval number fell sharply to its lowest level since he took over Malacañang in July of last year. Teaming up on the affirmative side or the "Team Tapos Na" this time around are lawyer Atty. Jesus Falcis, who is also a supporter of Vice President Leni Robredo; former Bayan Muna Representative Neri Colmenares, and blogger and Manila Bulletin columnist Tonyo Cruz. 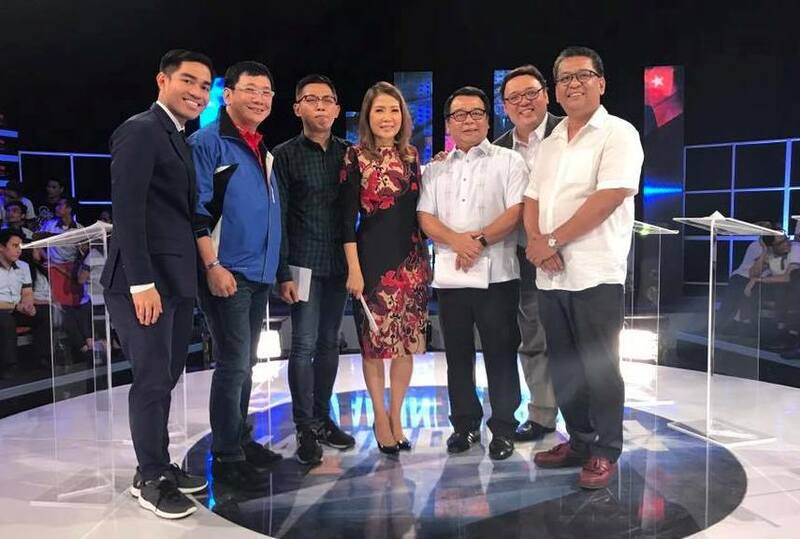 Arguing for the negative side or the "Team Hindi Pa" are former Kabayan Party-list Representative Harry Roque, who was recently been appointed as the new presidential spokesman; Manila Standard columnist and Duterte supporter Jojo Robles, and Subic Bay Metropolitan Authority (SBMA) board member Benny Antiporda. Manindigan is moderated by News5 chief and Aksyon anchor Luchi Cruz Valdes.